2017. Cinnirella, Francesco; Streb, Jochen. 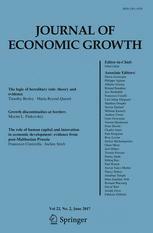 "The Role of Human Capital and Innovation in Economic Development: Evidence from Post-Malthusian Prussia", Journal of Economic Growth 22(2), (193-227). 2016. Lehmann-Hasemeyer, Sibylle; Streb, Jochen. "The Berlin Stock Exchange in Imperial Germany: A Market for New Technology? 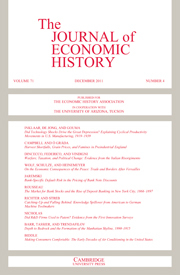 ", American Economic Review 106(11), (3558-3576). 2016. Streb, Jochen. "The Cliometric Study of Innovation", in Diebolt, Claude; Haupert, Michael (eds. 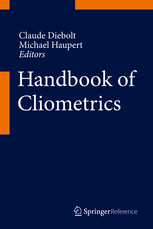 ), Handbook of Cliometrics, Springer Verlag. Berlin. 2015. Guinnane, Timothy; Streb, Jochen. 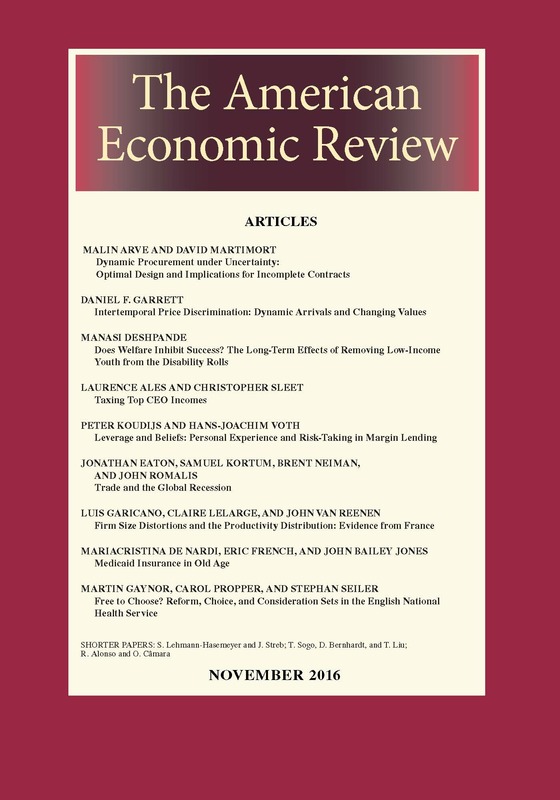 "Incentives That (Could Have) Saved Lives: Government Regulation of Accident Insurance Associations in Germany, 1884-1914", The Journal of Economic History 75(4), (1196-1227). 2011. Richter, Ralf; Streb, Jochen. "Catching-Up and Falling Behind: Knowledge Spillover from American to German Machine Tool Makers", The Journal of Economic History 71(4), (1006-1031). 2009. Streb, Jochen. 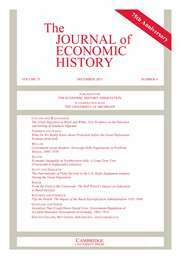 "Negotiating Contract Types and Contract Clauses in the German Construction Industry during the Third Reich", The RAND Journal of Economics 40(2), (364-379). 2006. Baten, Jörg; Streb, Jochen; Yin, Shuxi. "Technological and Geographical Knowledge Spillover in the German Empire 1877-1918", The Economic History Review 59(2), (347-373).